We help life science companies answer their most important questions across the enterprise. Accelerate the delivery of actionable insights to the frontlines of decision-making across research and development, medical and commercialization by using high-quality liquid data, technology, expertise and a thriving ecosystem. Our products include Value Discovery Engine to make better go/no-go decisions; Intelligent Trials to improve study success and speed; Integrated Evidence to help demonstrate value to regulators, payors, providers and patients; and Connected Devices to integrate the new generation of medical devices within the digital healthcare ecosystem. Get the latest data, insights and thought leadership from Acorn AI. 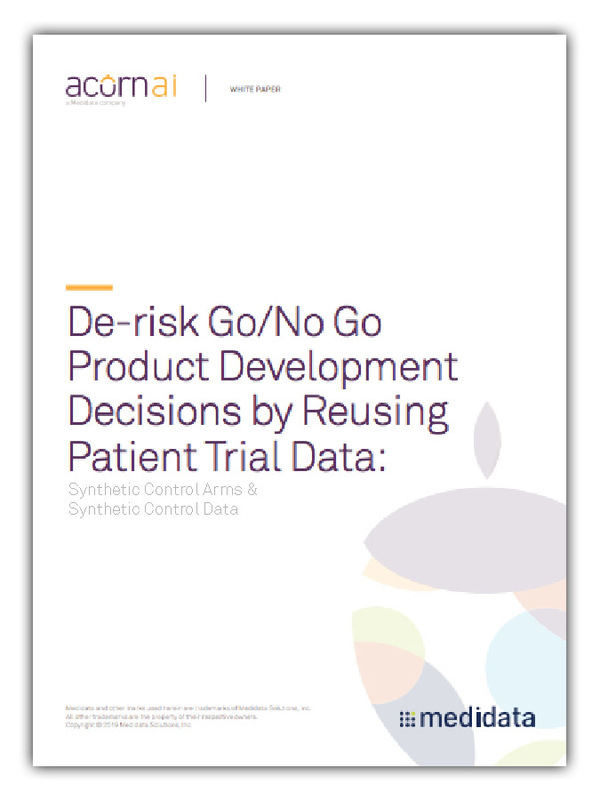 Learn how synthetic controls enable new insights for oncology clinical development and mitigates go/no-go decision risk. Synthetic control data can assist disease learning and future trial planning, and synthetic control arms provide precise data for confident interpretation of uncontrolled trials. Watch how Value Discovery with Omics integrates multi-omic datasets with clinical data to help life science professionals conduct a wide range of research. Our integrated team of scientists, physicians, technologists, and ex-regulatory officials bring deep expertise to frame the right questions and extract answers to support your most important decisions. We aim to work with partners ranging from data and technology-focused startups to research arrangements with academic institutions to tackle big problems and help bring ideas to life.